Her current research focuses on masculinity in feminist theory, on feminist friendships, and on Approaches to Teaching Alison Bechdel’s Fun Home. 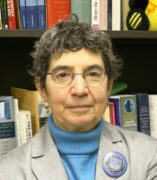 Her edited book Masculinity Studies and Feminist Theories appeared in 2002. The co-edited International Encyclopedia of Men and Masculinities, appeared in 2007. Her 2012 essay on female masculinity is widely cited. She is one of the original founders of the Gender and Women's Studies Program at UIC and a long-time member of the editorial collective of the interdisciplinary journal, Feminist Studies. She has served as co-chair of the Chancellor's Committee on the Status of Women, as Interim Director of the Center for Research on Women and Gender, and as Director of GWS. In 2014 Professor Gardiner was named one of the "100 Women of Inspiration" by Today's Chicago Woman Magazine. Gardiner was cited for her scholarship, activism, and contribution to feminism through her co-founding of the UIC Women's Studies Program. The Gender and Women's Studies Esther O. Kegan Fund in the College of LAS honors her mother's legacy as a pioneering female attorney and social justice activist. Gardiner credits her mother with being the role model that led to her own civic and academic engagement. “Female Masculinity and Phallic Women – Unruly Concepts,” Feminist Studies 38.3 (Fall 2012), 584-611.